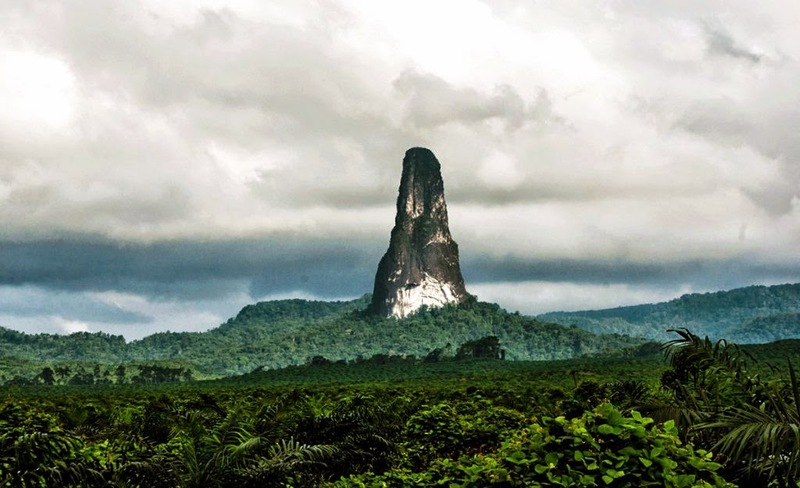 The Pico Cão Grande is also called the Great Dog Peak actually a towering needle-shaped volcanic plug peak in São Tomé and Príncipe, in the south of São Tomé Island in Obo National Park. 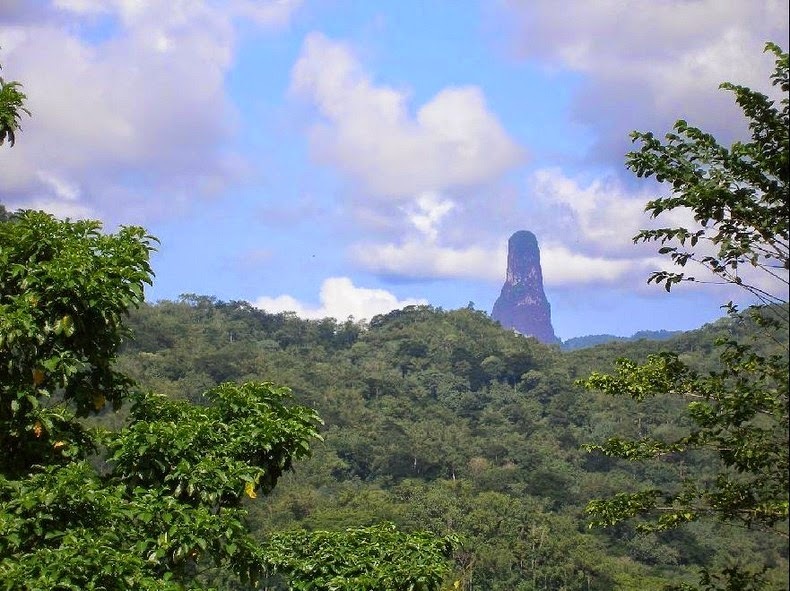 The beautiful tower rises naturally over 300 meters above the surrounding terrain. The inspiring summit is 663 meters above sea level and is frequently covered by clouds. 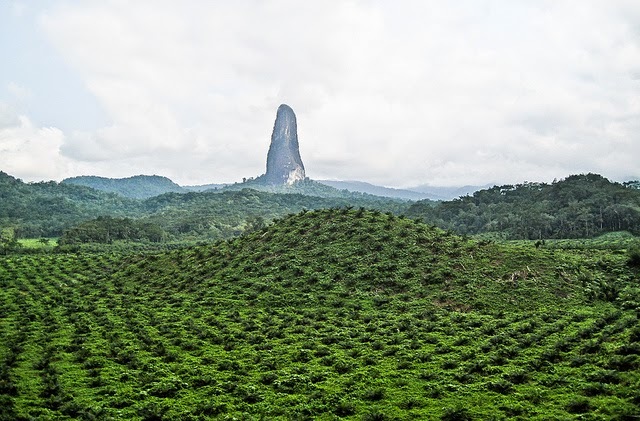 The Pico Cao Grande or Great Dog Peak is extremely difficult to climb because of the thick fog and mist that lingers around it, and the mosses growing on the surface that makes it more slippery. 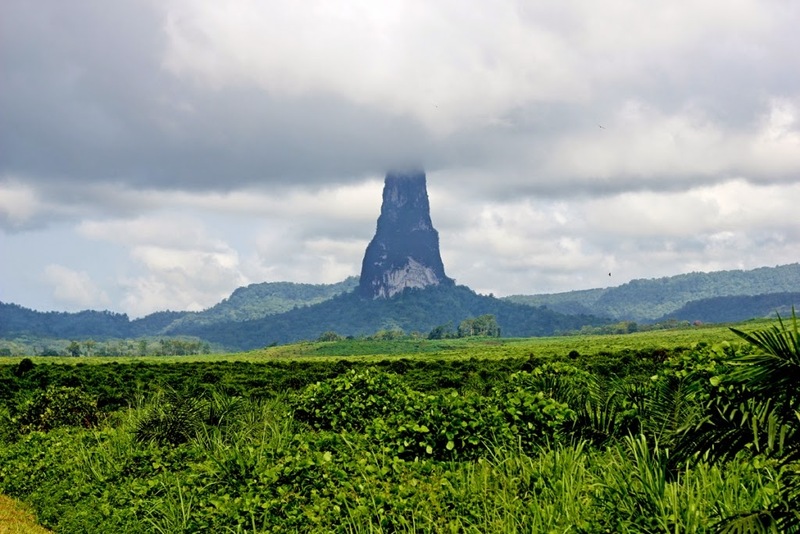 In addition, a blanket of mist usually cloaks the column resulting from Sao Tome’s abundance of annual rainfall (between 4,500 and 5,000 mm). 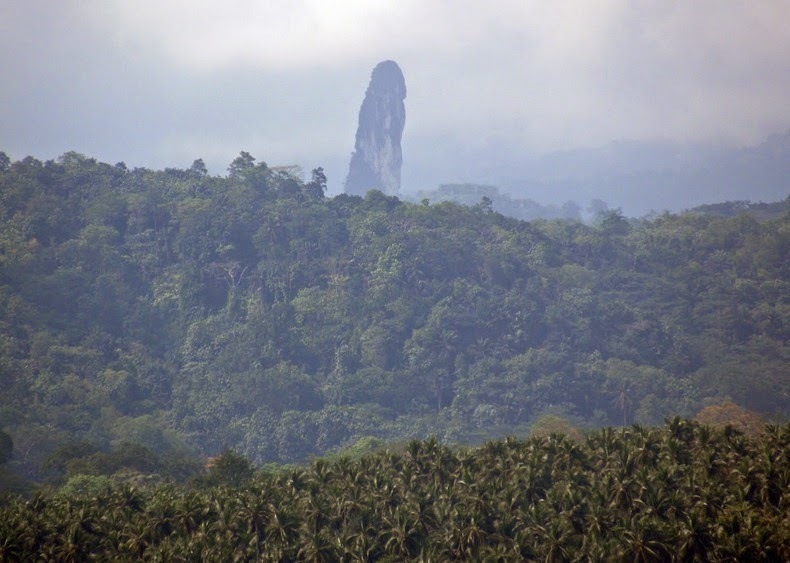 Therefore; Pico Cao Grande is the ideal place for those who desire a bit of exoticism and adventure in their lives. Most of climbers say; when it rains the stone is like a massive glass bottle and making the surface as slippery as glass during actual precipitation. So, “Great Dog Peak” is one of nature's most impressive high-rises. In spite of these natural setbacks, the spire tower still manages to attract a huge number of thrill-seeking climbers each year. 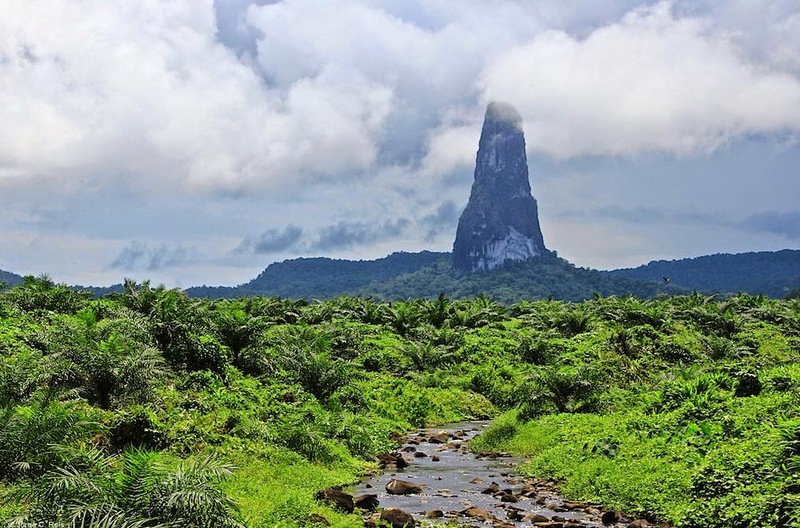 Therefore, it is extremely difficult to approach the rocky tower, which is impeded by an impenetrable forest of giant ferns and lianas. Be sure, a huge number of snakes are reportedly everywhere, even on the tower. 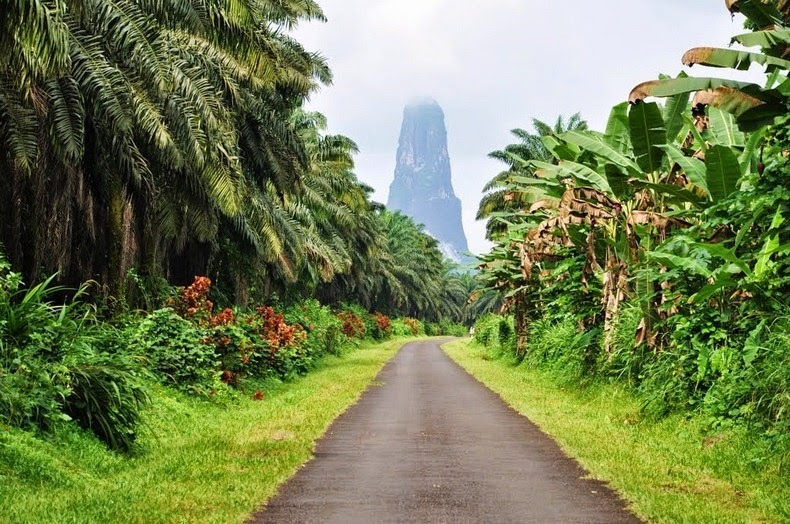 São Tomé and Príncipe is a small nation composed of two islands – “São Tomé” and “Príncipe” which is located in the Gulf of Guinea of equatorial Atlantic Ocean. 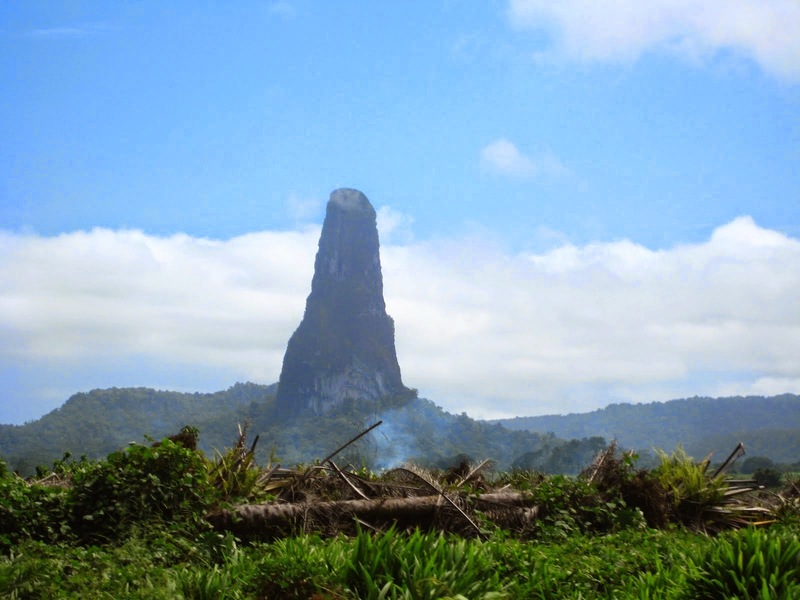 Both islands are part of an extinct volcanic mountain range. 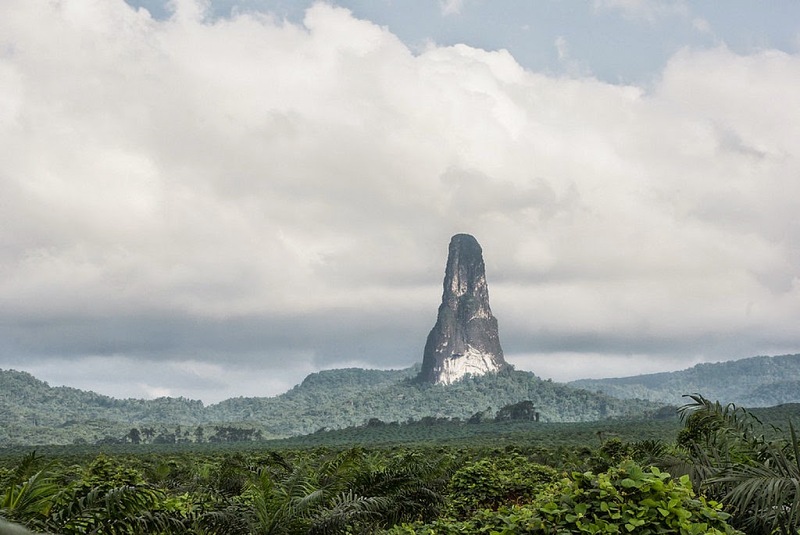 São Tomé, the island where Pico Cão Grandeis located, is 50 km long and 30 km wide. 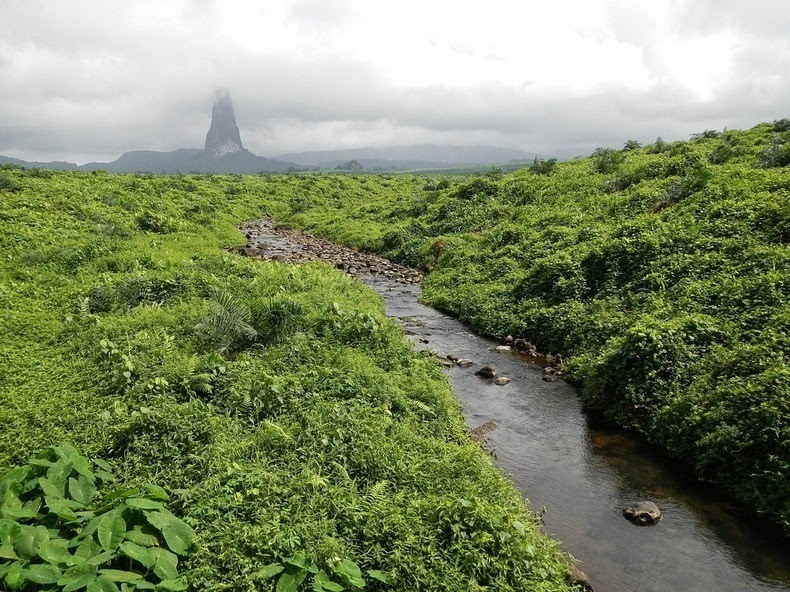 On a small island off the coast of Africa a lofty volcanic tower known as Pico Cao Grande looms dark on the horizon, like a fantasy landscape illustrating why mountains have often been mythologized as conduits between ancient divinities and earth. This is a remarkable destination that has been flying under the radar from several years is the islands surrounding Africa. Moreover with a varied climate, the continent itself holds numerous attractive sites that have welcomed travelers from all over the world to relish these natural beauties. The Great Dog Peak is a real challenge, so the view seen from above is a real treat. 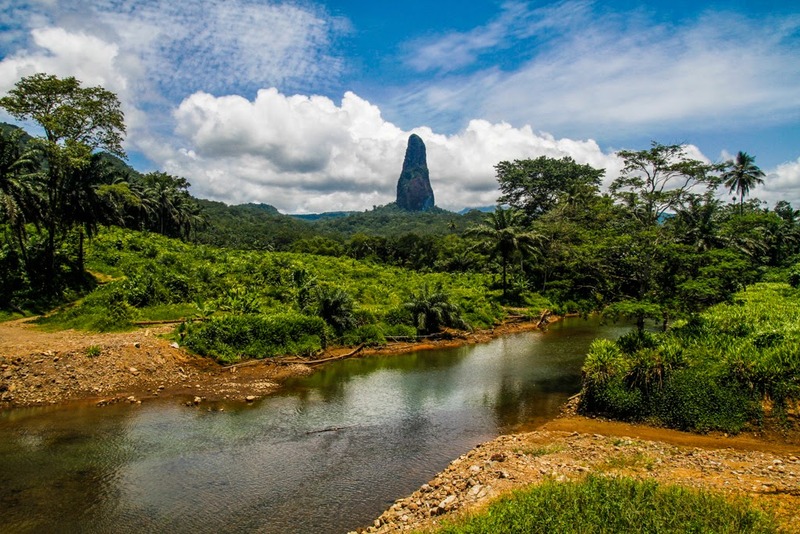 It is considered the 37th tallest mountain in Sao Tome, so visualize what other great sites this island has to offer. This site is the source of many disappointments as year after year, people try and fail to reach its tip. 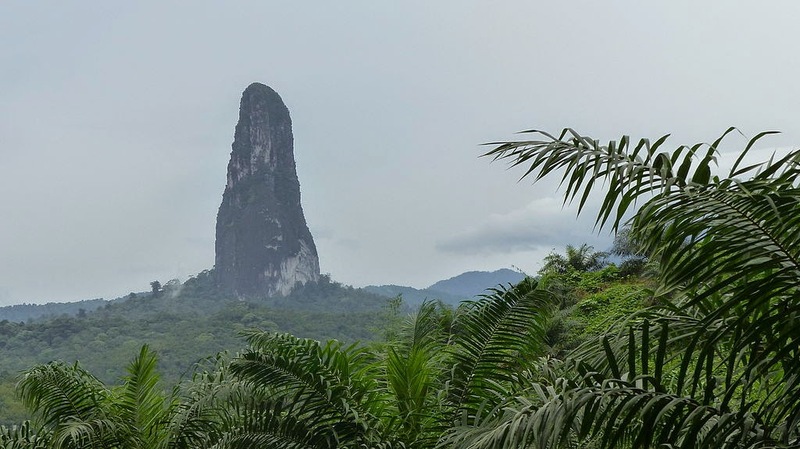 Other than defeat, the Pico Cao Grande allows climbers to see the astonishing landscape that surrounds the mountain. Pico Cao Grande is most definitely one of them.